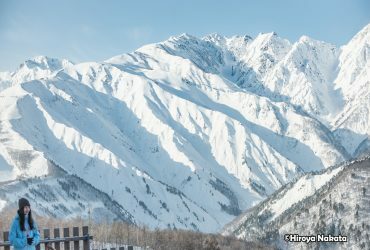 Known for hosting the 1998 Winter Olympics, Hakuba Valley in Nagano Prefecture has been transformed into a leading international mountain resort, enjoyed by winter sports enthusiasts around the world. At 3,000m and surrounded by glorious mountain terrain, this resort offers some of the best powder and endless opportunities. You can relax and enjoy the long distances of some of the 10 unique ski areas, some totalling 8,000m. 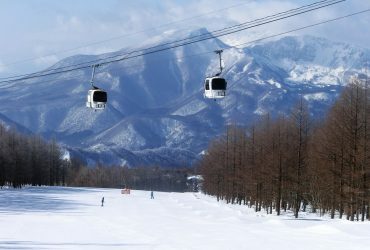 With its long history, snow quality, magnificent views and size, Nozawa Onsen Snow Resort in Nagano Prefecture consistently ranks as one of the top in Japan. 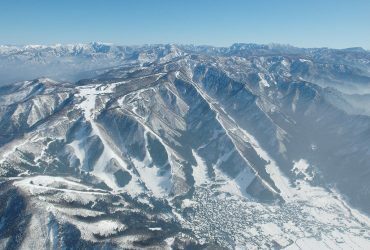 It consists of a total ski area of 277 hectares and an altitude difference of 1,086m. Can’t miss is the popular Yamabiko Slope with five separate 1,000m intermediate courses which then join into one. Known for outstanding natural snow and the amazing views. 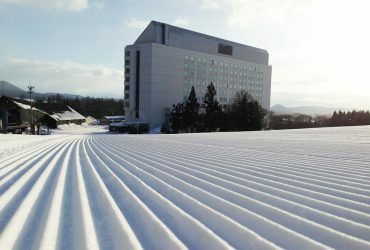 Shizukuishi Ski Resort in Iwate Prefecture is an absolute snow play paradise for both kids and adults. The CAT Tour offers courses offered only through the tour, meaning fresh ungroomed powder awaits! Shizukuishi Prince Hotel is a ski-in-ski-out hotel allowing you easy access to rejuvenate at Shizukuishi Takara Onsen with an outdoor hot springs surrounded by the beautiful mountains you just skied in from. 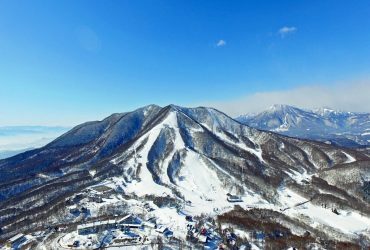 Geto Kogen Resort in Iwate Prefecture has two main areas which are known for their long seasons and abundance of endless snow. There are 14 courses in the Natsuoyu Plateau Ski area and another nine in their Tree Run area. Both offer unique areas of deep, untouched powder and courses to satisfy both skiers and snowboarders looking for long runs in areas of undisturbed scenery. Excellent snow quality and unbelievable powder! The Zao Onsen Snow Resort in Yamagata Prefecture is unquestionably know for it’s amazing snow conditions. With a wide range of courses, many of the slopes are left to their natural terrain with challenging runs for intermediate skiers to enjoy. This resort is also well known for their natural ice sculptures and world famous hot springs. 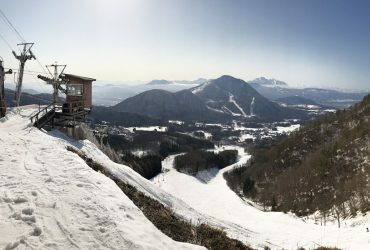 Grandeco Snow Resort in Fukushima Prefecture boasts many impressive ski runs topping out at 4,500m, all whilst overlooking some of the most impressive views in Japan. 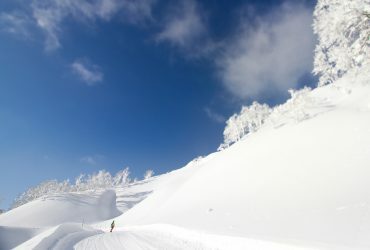 With 13 unique courses for all levels, you will experience some of the best powder Japan has to offer at one of its leading resorts. Grandeco Snow Resort is truly where snow and ski go hand in hand! 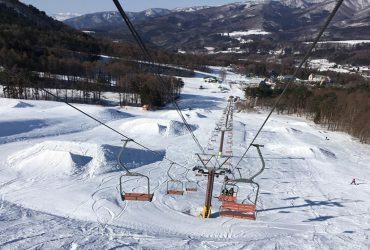 Madarao Mountain Resort in Nagano Prefecture is popular for both skiers and snowboarders looking to experience their abundance of snow and world renowned powder. Boasting 31 distinct courses, this resort can be enjoyed by beginners to advanced skiers. It also offers Japan’s number 1 ungroomed, powder, tree run courses! Skiing in the woods, the feeling of swimming in snow all add to the appeal of what has become known as Madapow – or the powder snow of Madarao. X-JAM Takaifuji in Nagano Prefecture is a destination that needs to be experienced at least once. With flatbed slopes to half pipes and excellent snow at the summit, everyone from beginners to advanced adventurers can enjoy the fun! Although favoured by snowboarders, skiers definitely add to the excitement. 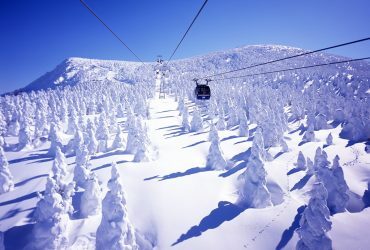 Located at the base of Shiga Kogen, Kitashiga Kamaruyama Ski Area in Nagano Prefecture is known for wide ski runs and is popular with beginners and families. Copyright © TRAVEL ROAD CO. ,LTD, All Right Reserved.